Here are the finalist sites under consideration for the location of the JEA's new corporate headquarters. Although many believe the fix is in for a move to TIAA Bank Field, we're putting the politics and the unreleased financial details of each proposal and development group aside and taking a look at how each site can either help or hurt the continued revitalization of Downtown Jacksonville by using good old fashioned urban planning sense. 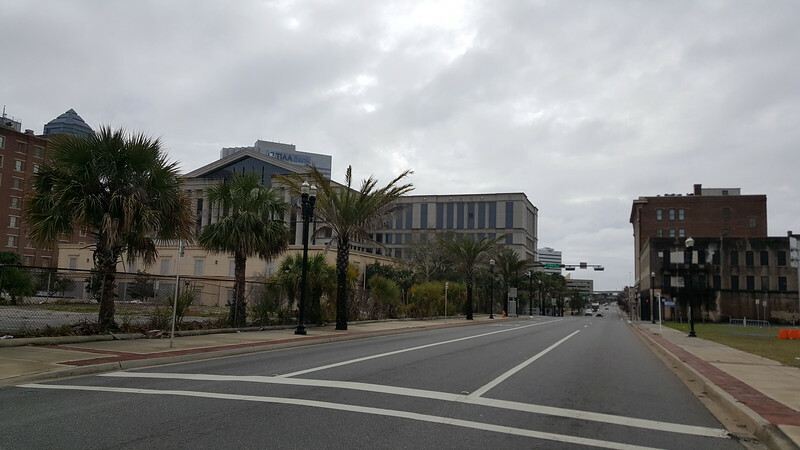 The Jacksonville Electric Authority (JEA) is in the initial planning phase to select the site for development of a new headquarters building, which would replace its current Downtown Jacksonville headquarters at 21 West Church Street. CBRE, a Jacksonville-based full-service real estate firm, has been a dedicated partner in assisting JEA in the strategic planning of the new development. At the January 22, 2019 JEA Board Meeting, JEA staff announced a short list of three firms that, after preliminary evaluation through JEA’s Procurement process, best meet the criteria to move forward in the selection of a firm and development site. Here are the firms selected for the short list, their building renderings and our opinion of what role each site plays in relation to the overall continued redevelopment of downtown. This map highlights the location of the five sites under consideration for JEA’s proposed corporate headquarters. 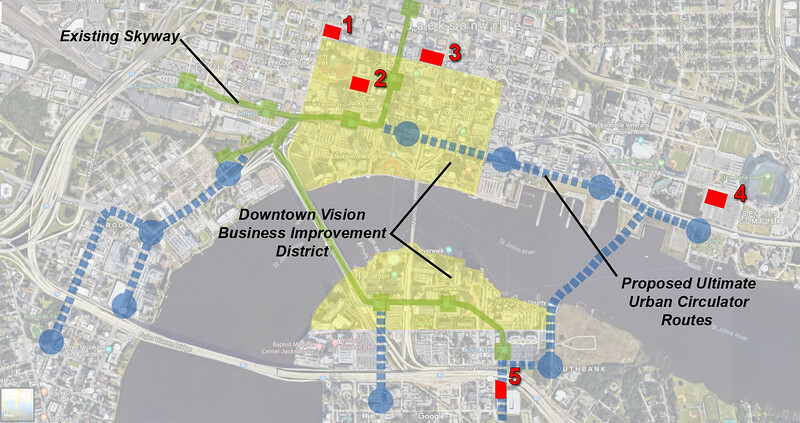 In addition, the map highlights the boundaries of the Downtown Vision Business Improvement District (yellow), the existing JTA Skyway system (green) and the proposed Ultimate Urban Circulator routes (blue). 534 West Church Street - Ryan Companies US, Inc.
2. 21 West Church Street - Ryan Companies US, Inc.
3. 325 West Adams Street - Ryan Companies US, Inc.
4. 1201 Kings Avenue - Kings Avenue Station P3, LLC. 1. 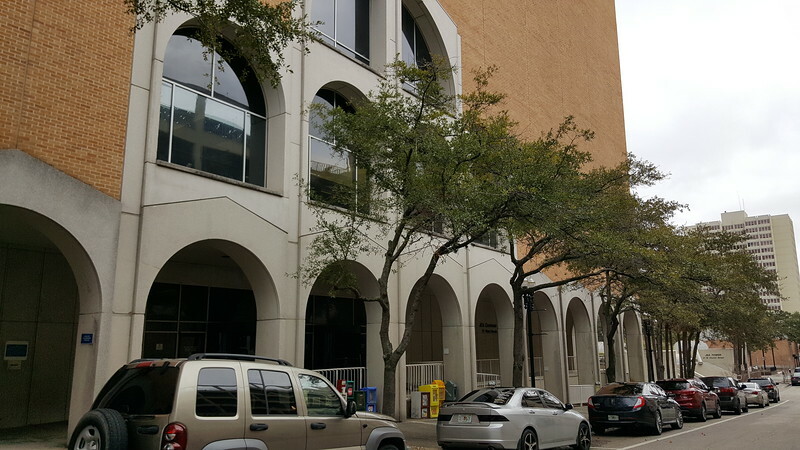 Ryan Companies US, Inc.: 534 West Church Street If selected, this long, unmaintained block of surface parking that straddles the historic dividing line between downtown and LaVilla would be replaced with a new high-rise corporate headquarters for JEA. From an urban design and revitalization perspective, 534 West Church Street is a very intriguing location. Only five blocks west of JEA’s current corporate headquarters, it replaces a dead block of inactivity with a 13-story high-rise with maximum visbility for JEA from Interstate 95. 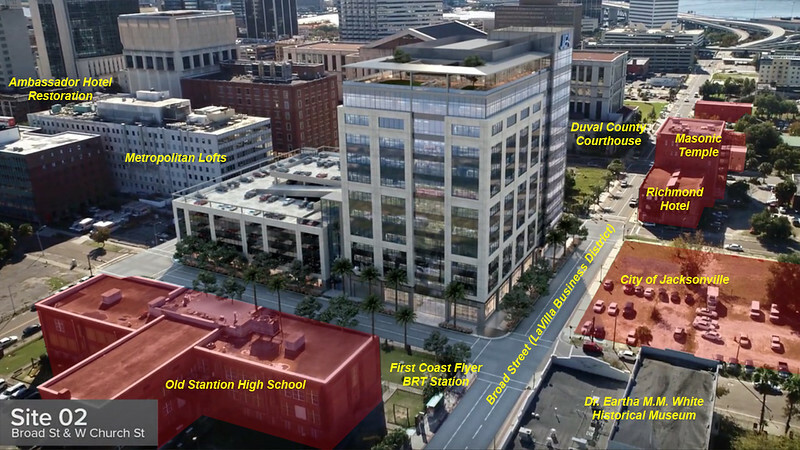 If selected, it would become the first high-rise constructed in the historic heart of Downtown since the Bryan Simpson United States Courthouse was completed in 2003. It’s also across the street from Metropolitan Lofts and one block a way from the Ambassador Hotel redevelopment project that includes the conversion of the historic building into a boutique hotel and the development of an infill market-rate apartment development. Furthermore, it positions JEA to serve as an anchor for the revitalization of an authenic and potentially nationally distinct walkable district along LaVilla’s Broad Street. Once the heart of LaVilla’s business and entertainment scene during segregation, the intersection of Broad and Ashley Streets is surrounded by historically significant buildings such as the Masonic Temple, Richmond Hotel, Old Stanton High School and Clara White Mission’s Eartha M.M. White Historical Museum. Located along the JTA First Coast Flyer’s Green Line, the buildings surrounding this site include storefronts where famed individuals such as James Weldon Johnson, A. Philip Randolph, Jelly Roll Morton, Louis Armstrong, Duke Ellington and Zora Neale Hurston once frequented that are waiting to be used once again. For a city still struggling to find a way to properly enhance economic redevelopment opportunities within its historically significant African-American districts, 534 West Church Street is the one site under consideration that makes a positive move in that direction. In addition, there aren’t many market-rate opportunities to for new skyscrapers in Jacksonville and the visual image boost that provides for the city and downtown.